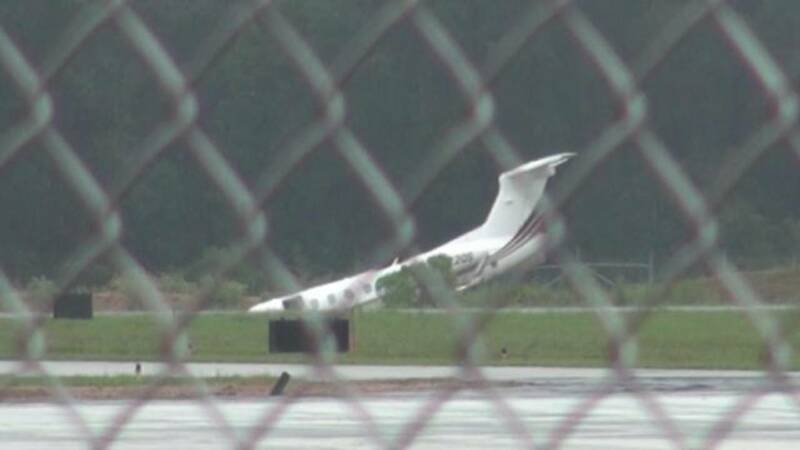 CONROE, Texas - A plane slid off the runway at the Lonestar Regional Airport in Conroe. We're told the plane was coming from Nashville and was making a landing earlier Friday morning when it started to slide on touchdown. The aircraft slid into a ditch. Neither the pilot nor co-pilot were hurt.